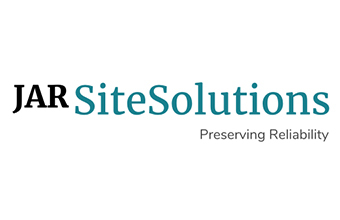 JAR Site Solutions was formed by husband and wife team Jon and Alisha Riches in August 2017, drawing… on Jon's 20 year experience in security and construction projects. Over 60,000 customers were quizzed on their purchase habits for 160 Fireworks Displays across the UK. The report published by TicketSource.co.uk includes stats for online, in-house and telephone sales made… across the UK. While marketing predictions for any single event might be different, the report has sampled events both large and small for a broad industry analysis. Gala Tent's branding and print division Gala Graphics designed and printed gazebos, pop up banners and feather flags for… the event, which was held at The Royal Berkshire Shooting School in Reading and attended by over 100 delegates. The event included a clay pigeon shooting competition, followed by champagne reception and auction of a number of 'money can't buy' gifts to raise funds for the charity. Set to become a highlight of the UK festival calendar, with tickets… starting at just Â£40 per adult (booking fees apply), this year's headline acts are UB40 (plus support ASWAD) and The Gipsy Kings featuring Nicolas Reyes & Tonnino Baliardo, who will be performing at Borde Hill Garden on Saturday 7th and Sunday 8th July respectively, with further special guests to be confirmed in due course. We've a jam-packed line up of… music, masterclasses and all the festival fun you could wish for!